I’m exeriencing heavy breathing and rapid heartbeat. i am having a pink moment. 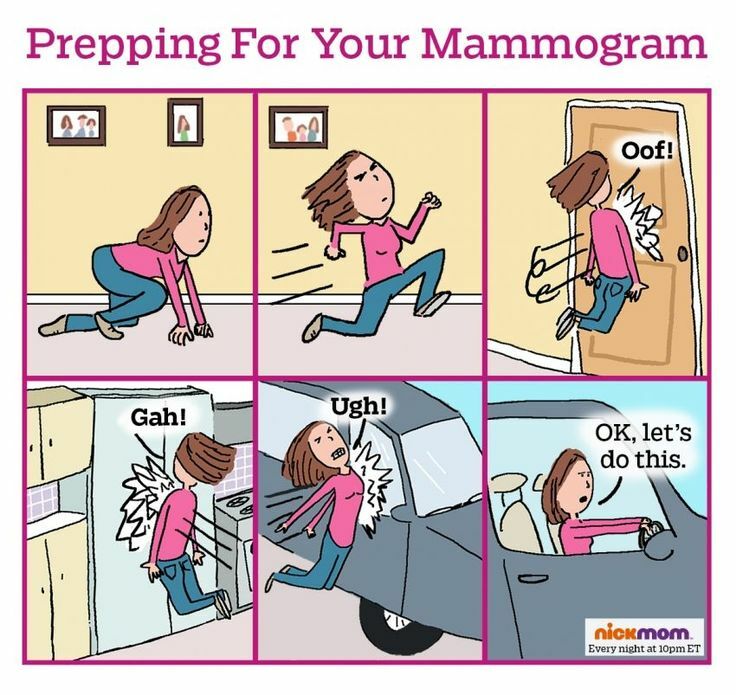 Today, is my annual mammogram. I have an 8:30am appointment so me and the girls are fresh and ready for anything. A family member always accompanies on my walk of anticipation across Central Park to midtown. I know what the process entails and yet I am always channeling overwhelming trepidation. I am presently waiting for my name to be called. This is the first of my heavy breathing moments. The second comes in the beige cone of silence chamber where you sit in a Frette robe, usually with several other nonverbal middle-aged women and wait for the verdict to be handed down. Will it be a failing report card or will I make the honor roll? Can I wrap up these precious girls in my lucky lacy bra and declare myself cancer free for another year?! Fast forward…I have moved into the containment center. This year, I am in solitary confinement, not a whiff of estrogen to be found. The technician who has been ‘handling’ me for the past three years, arrives at the door, all smiles and hands me a perfect grade. Elated, I literally skip back to the lobby and tell my husband a healthy breakfast is on me. They proudly stood up to the challenge.